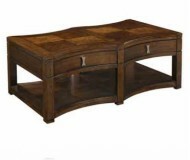 Dimensions:48W x 28D x 19H in. 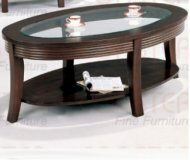 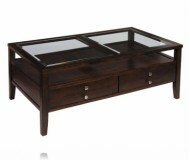 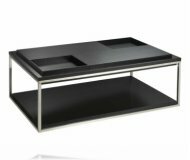 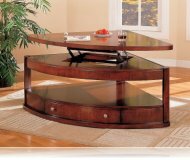 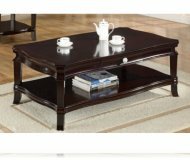 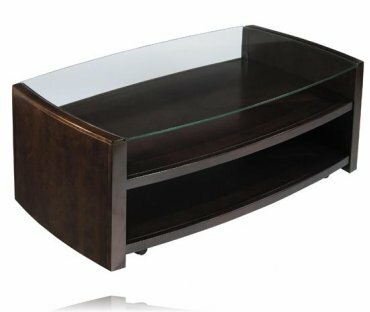 Sleek lines on this castered cocktail table allows it to fit easily to an urban contemporary or transitional style decor.Features polished edge glass top,eight way cherry veneer and open shelves for easy storage or display access finished in a rich mink. 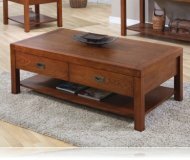 MSRP: $499.99 $399.99 Seen it for less?